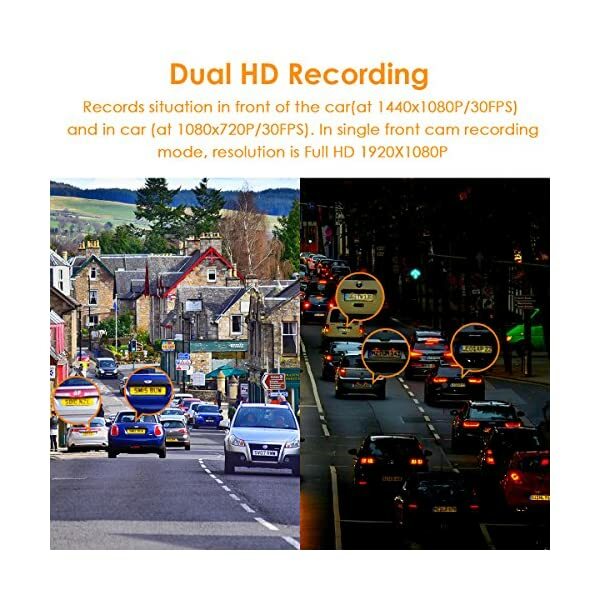 【Dual Cameras Front and Inside Recording】Dual cam recording simultaneously captures the license plates cars as well as road signs with [email protected] (front) and the cabin [email protected] Single front cam recording, Full-HD 1920×1080 [email protected] resolution of front cam provides great sharp video quality and super night vision. 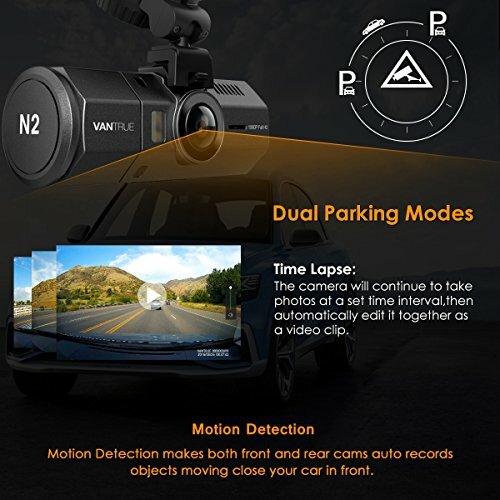 Small and smart dual lens in one body dash camera equipped with F/2.0 aperture, 6 glasses lens and efficient processors captures more details. 【Near-360° Solution & Heat Resistant】Stunning ultra wide angles record road (170°) and interior (140°) with virtually zero fish eye distortion. 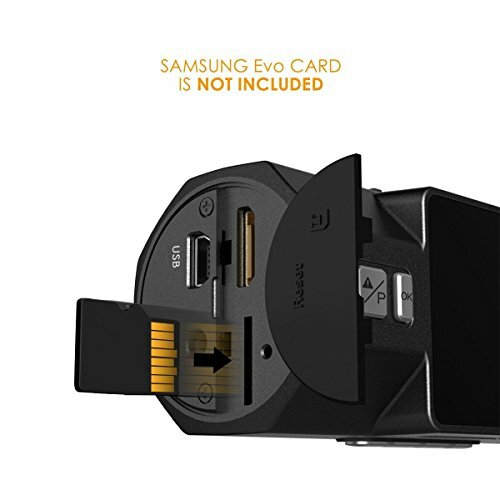 The rear cam is easily adjustable (80°vertically) for the perfect view. 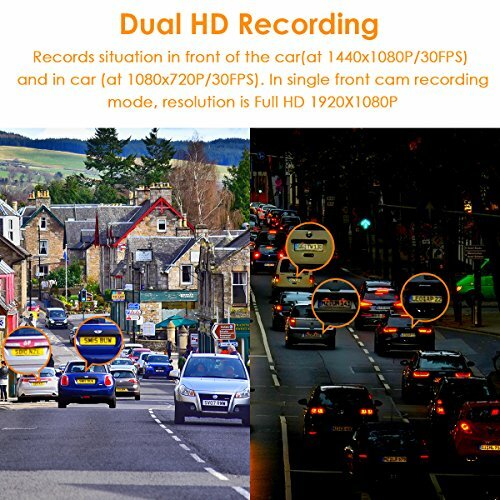 Based on HDR technology, this car camera inside and outside clearly captures more of the road without overexposure during the day and night. Heat Resistant- ABS resin + PC casing- When plugged in: Operates in -4℉-158℉ (-20°-70°C). Easy to install and operate. 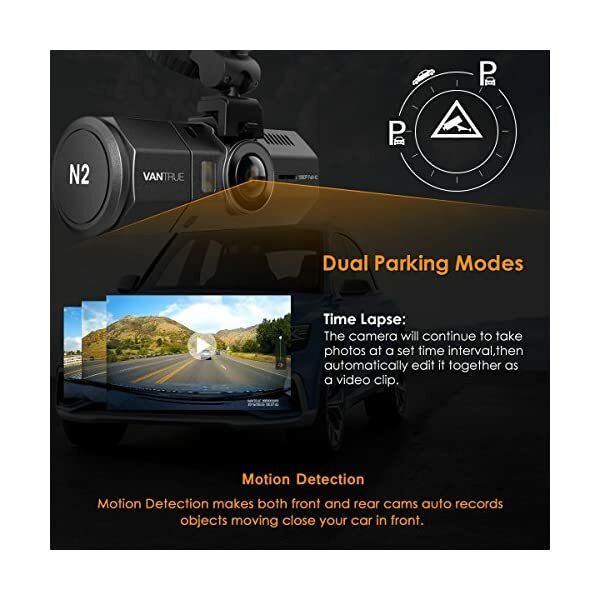 【Dual Parking Modes & Audio Recording】Once hardwired, it can auto switch the dashboard camera to the Parking Mode. 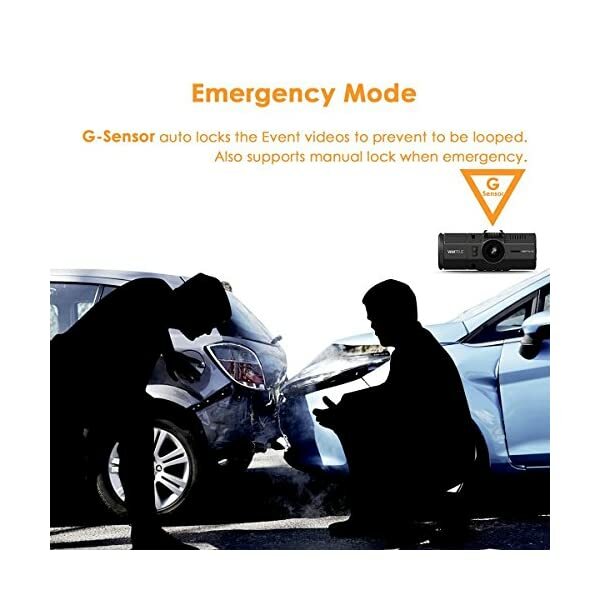 Triggered by the Motion Detection, the car camera recorder will automatically record a vehicle near the front of a person or object. It needs a constant power supply either from an external battery pack or hardwire (Asin: B07G9WTWB9). 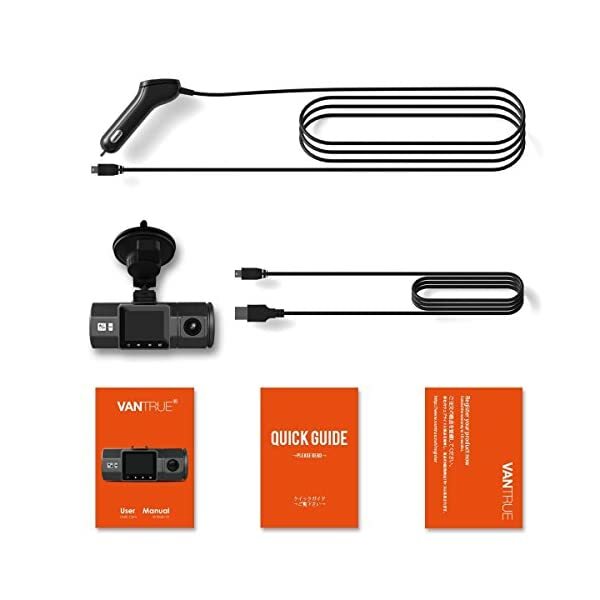 Triggered by time lapse, the dash camera dual will continue to take photos at a set time interval. Built in microphone/speaker for sound recording. 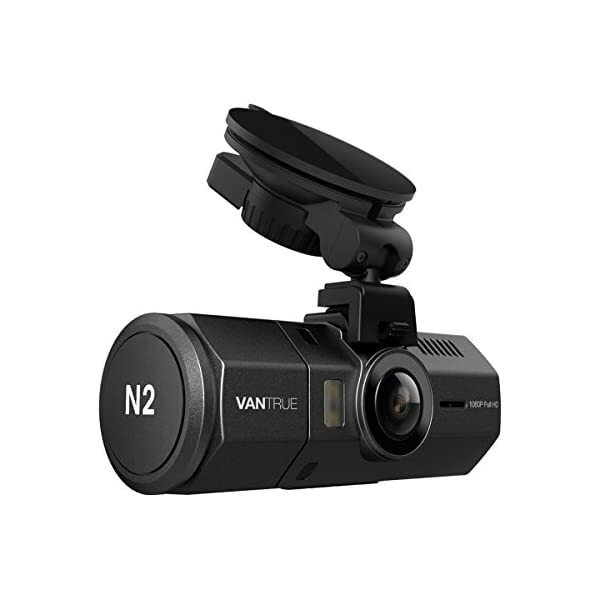 Vantrue N2 dash cam with motion detection recorder: For those who are very aware of the safety of the road, the Vantrue N2 dual lens dash camera is undoubtedly your best choice for your driving saftety. 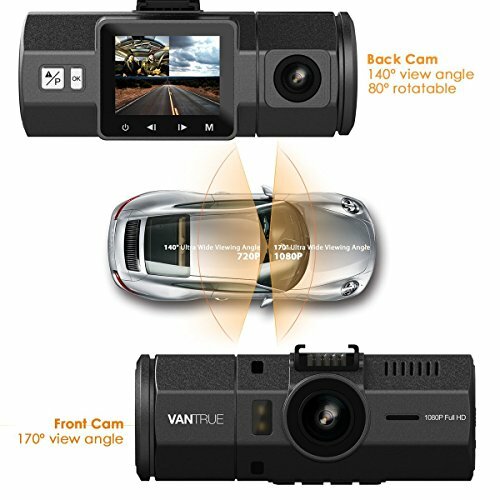 Featuring a 170° viewing angle, more lanes covered and night vision effects with infrared light to make you record clearly at night, the front lens captures (1920×1080 @ 30fps) and (1440×1080 @ 30fps ) videos in front cam mode, while in dual cam recording mode, the front camera captures (1440×1080 @ 30fps) in HD videos. 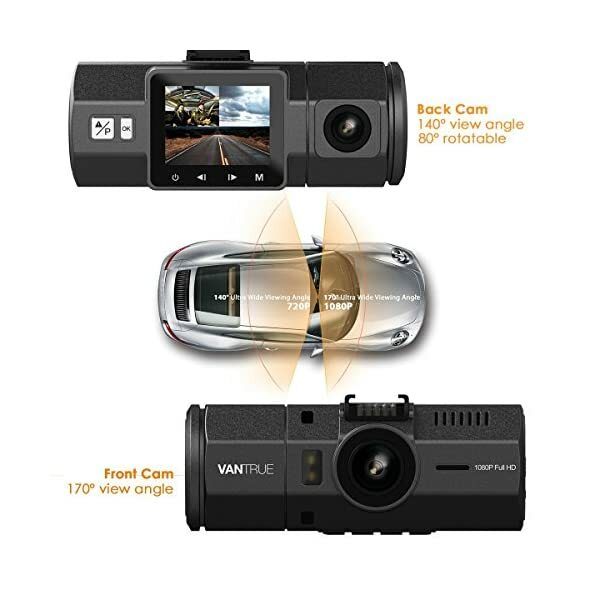 With 140° view angle, the 80° rotatable rear view camera captures (1280×720 @ 30fps) videos. 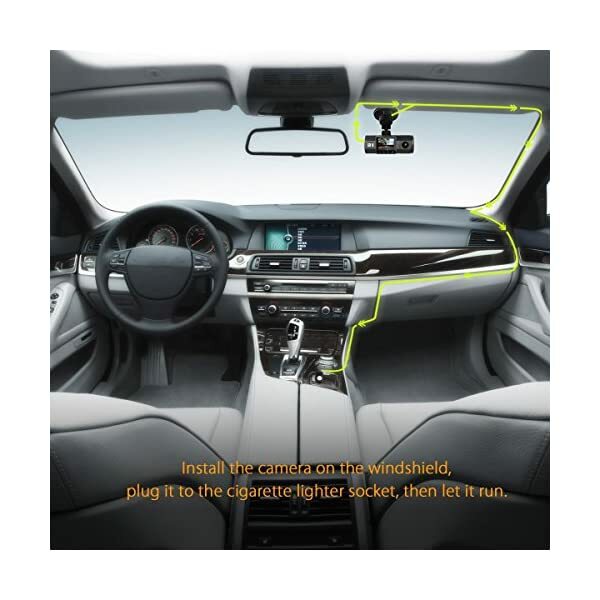 The dual-lens setup ensures you notice the traffic around you more clearly while driving. 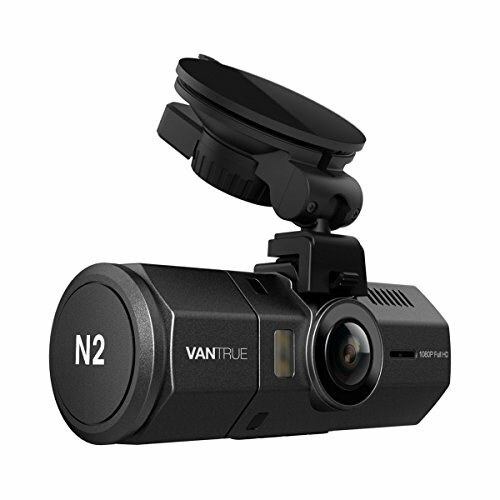 The dash camera for cars front and rear can provide critical video and audio evidence to police, insurance companies and court. 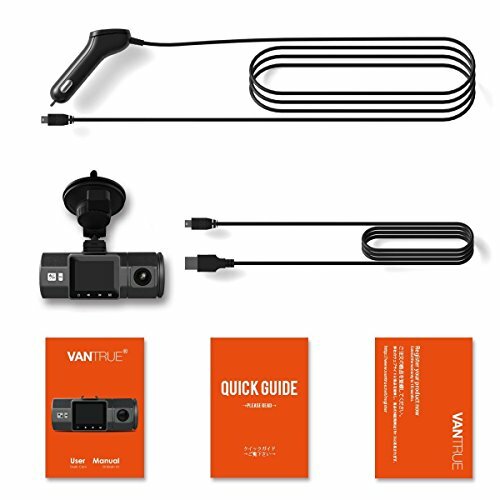 With additional features like G-sensor, Emergency lock, Seamless loop recording and Parking mode, you’ll feel much safer on the way.You can also record the scenery along the road when travel. 【Seamless Loop and G-sensor】Support up to 64GB card (not included) , please format it to FAT32 first. 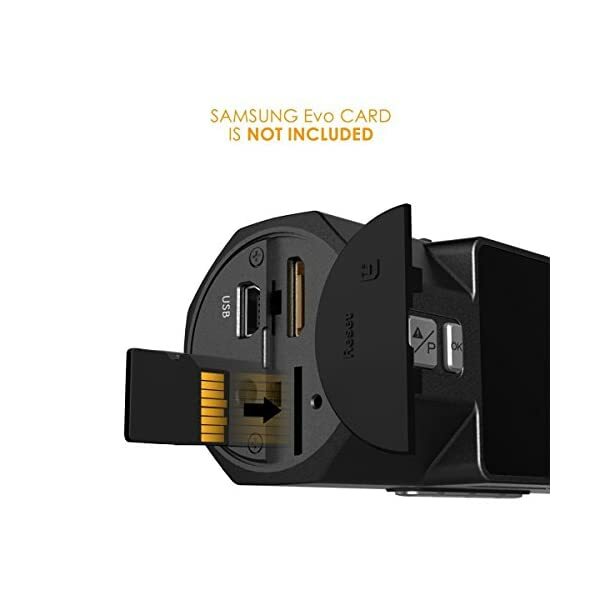 Loop recording will cover the oldest lens when the capacity of the card is maximum. 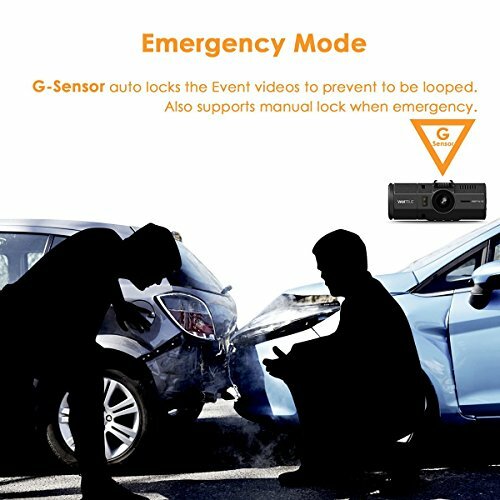 Variable sensitivity G-sensor with Automatic Collision Detection locks video files following event. Automatic/Manual lock option. 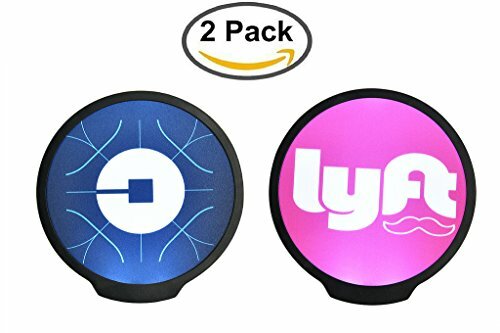 Auto LCD off after the recording begins so you won’t be disturbed by another glowing rectangle on your windshield. 【Satisfied Service w/ Optional GPS】Free for 18 months Warranty to cover any questions and email replies within 24 hours. 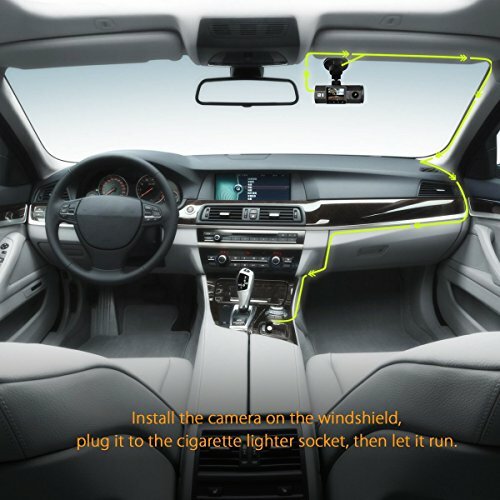 Optional GPS to track the driving route, location and speed (To use GPS function, please buy an extra gps mount Asin: B07CYW6JXW). 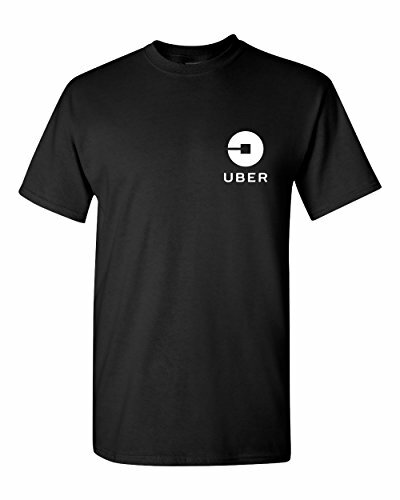 Suitable for uber and lyft drivers, private car, taxi, SUV or truck. 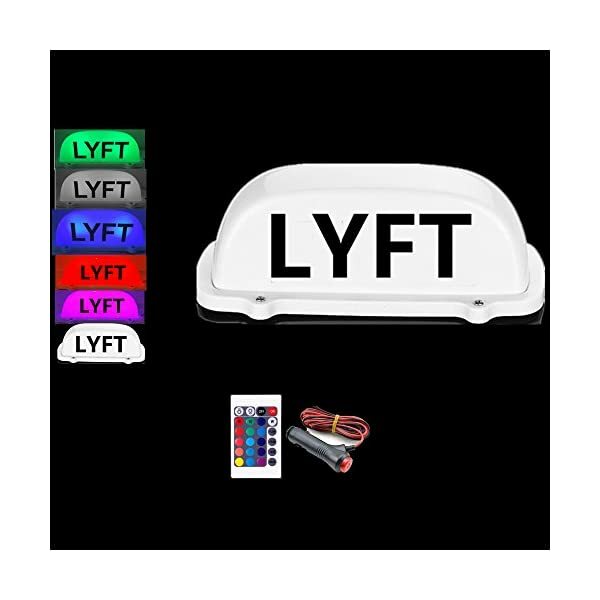 Works with 12V and 24V vehicles, total peace of mind. 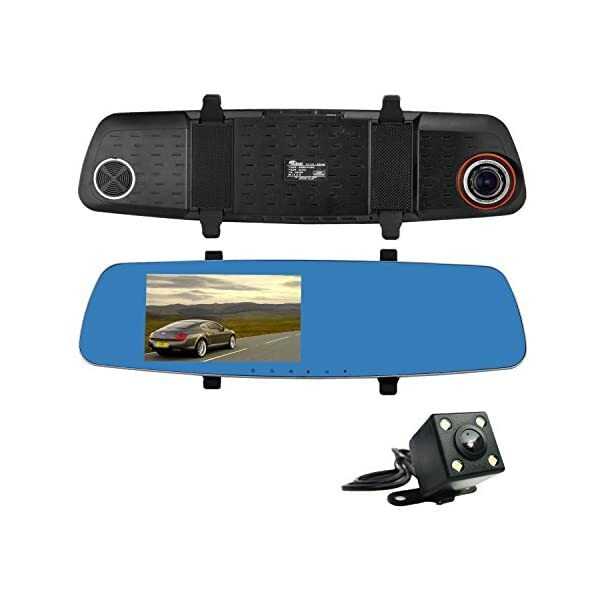 Choose the best angle（below the rearview mirror) to install will get best effect.